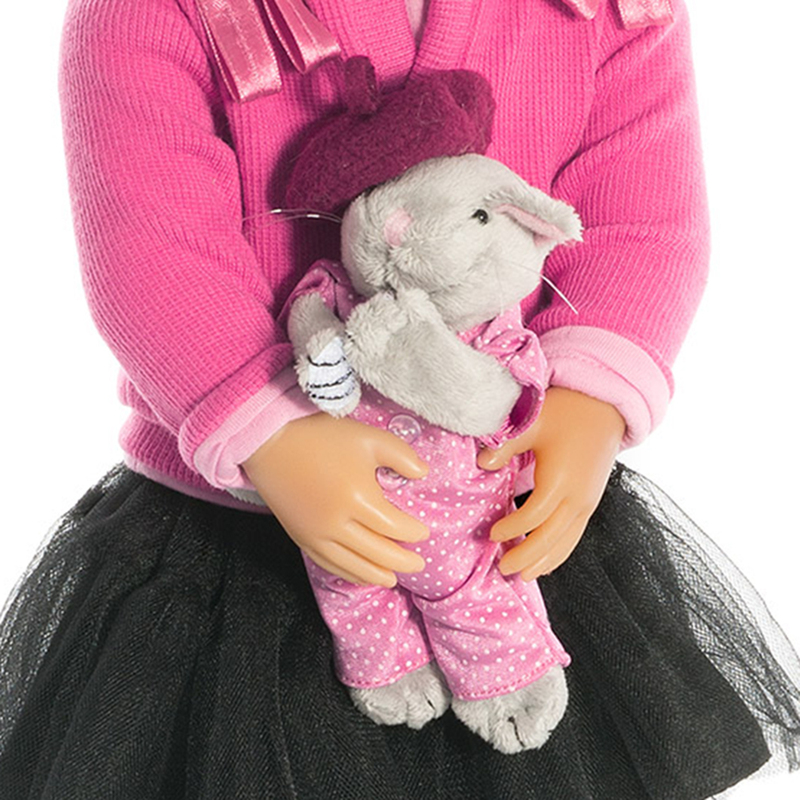 Miu is dressed in a pink cotton cardigan that is embellished at the shoulders with beads and ribbons. Beneath it she wears a matching pink T-shirt. Her skirt is layered with black tulle. 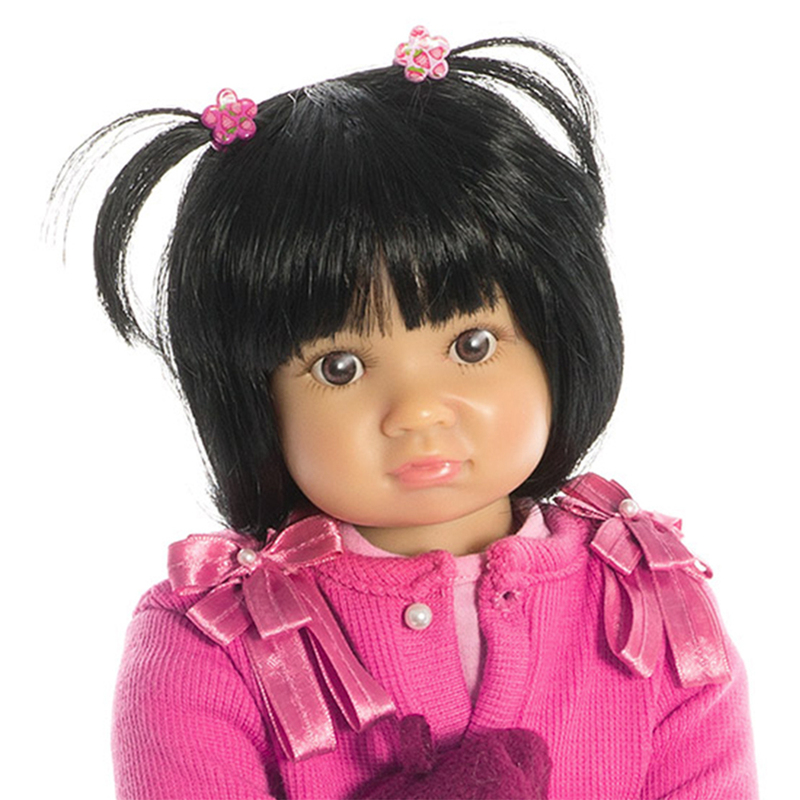 Miu is dressed in a pink cotton cardigan that is embellished at the shoulders with beads and ribbons. Beneath it she wears a matching pink T-shirt. Her skirt is layered with black tulle. Black moon boots, black leg warmers and grey tights complete her outfit. Her Kidz’n’Cats cat has also chosen to wear pink. Please note that Hairclip colours may vary. 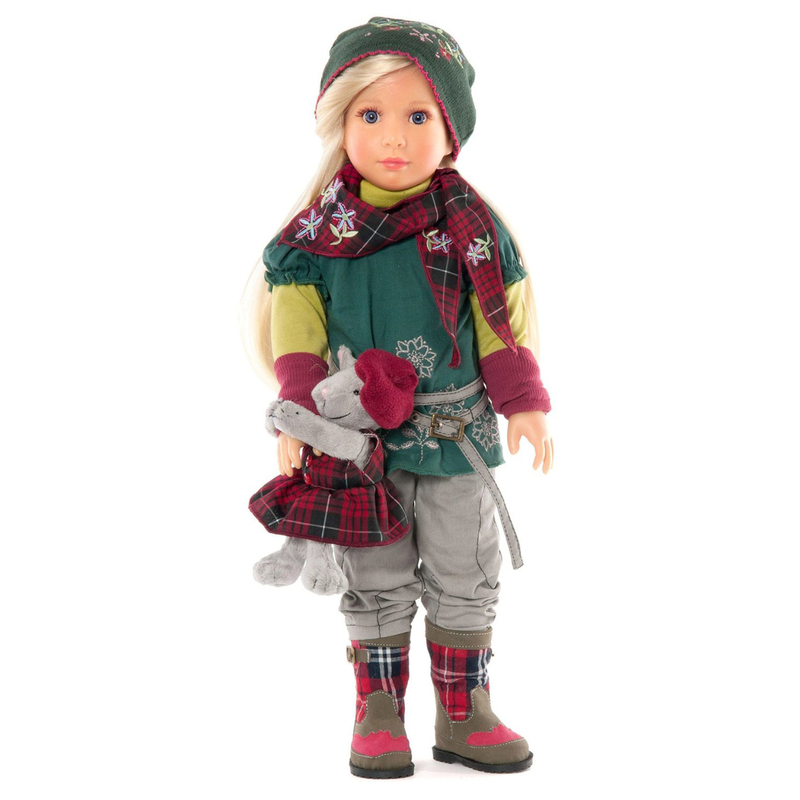 Please also see the extra outfits for Kidz’n’Cats dolls in our accessories section. Please note that colours and patterns may be subject to minor alterations. High quality kanekalon wig. Brown, lifelike acrylic glass eyes. Real eyelashes.